Today I have another success story for you all to read about! It comes from Gary Giovanni, a nice man I met through the purchase of his very informative eBook entitled How I Healed Myself from Vitiligo. He also happens to be the author of a helpful blog. 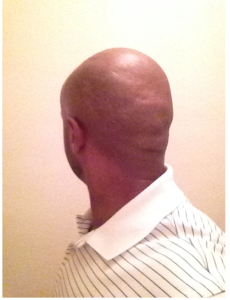 Since I enjoyed his book so much, I reached out to him in hopes that he would agree to do an interview for the blog – and he graciously agreed to share his story on how he was able to successfully stop and reverse his vitiligo. I hope you enjoy reading it as much as I did! 1. When and how did your vitiligo start? I seen the first small spot on the corner of my lip when I was in college about 14 years ago. I thought it was a little weird; I remember going to the library and looking it up. It said something about Vitiligo and I thought to myself “Well, I know, I don’t have that” and forgot about it. Many years later after another stressful life episode I got, what seemed like overnight, a big spot on my neck/throat area. 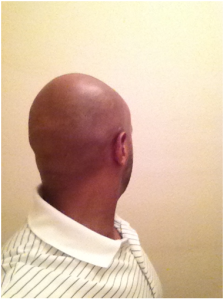 That spot grew bigger and bigger; other spots came, they spread and Vitiligo took over my life: mentally and physically. 2. What do you feel caused or triggered your vitiligo? In my situation it is stress related and the same has been true for the many people that I’ve observed and stay in touch with. I believe that to be the case with everyone. An unhealthy lifestyle definitely doesn’t help and will get in the way of any efforts towards healing. 3. Did you change your diet? If so what changes did you make? The changing of my diet is the cornerstone of my healing. The one very important thing I advise anybody that is on the path to healing is to get rid of the “NO’s”: Gluten, Omega6 oils and overly processed foods. Initially I was paranoid about what foods may have caused my Vitiligo or where getting in the way of my healing so my diet was very strict. Now that I have 95% healed I keep it simple: the Perfect Health Diet is the closest description to how I am eating now. I try to eat as many vegetables as possible; juicing is also a great way to get as many vegetables inside you as possible. Juice the vegetables with a fruit or two and you have a potent healing juice. Another major change I made was my mental diet. Control what thoughts go in and keep the bad thoughts out. It’s just as simple as ignoring it; you have to play mental games and show your mind that you are in control, eventually your body follows suit. 4. Have you used any supplements? If so, which ones? Initially I tried everything that I thought would work :). I now know that it is possible to heal through a whole foods diet with the only supplements being vitamins and minerals that you may be deficient in. 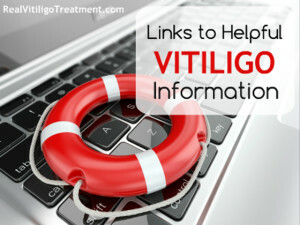 Vitligo sufferers are known to be deficient in B12, C and D3; there are others and everyone is different. I also take a Probiotic and Omega3. 5. What topical treatments have you used to help you repigment? I used the liquid version of Meladinine. It was a bitter/sweet relationship with it and if I could go back and do it all over I would not use it. 6. What do you feel was most important to your success? Without a doubt the most important element was me staying positive. Filling my mind with thoughts of knowing that I was going to heal, even if it wasn’t true and I was faking it. I remember constantly citing my mantra “Thank you for my healing” when I was scared to even look in the mirror. After a period of time that mantra became true. It’s not just hocus-pocus: keeping the thoughts that you’re truly wanting in front of you will naturally lead to you taking the necessary steps. I keep in touch with hundreds of people and the only common denominator between those that heal and those that don’t is the positive mind-state. I know from the tone of their first email if the journey is going to be an easy one or not. 7. How long after these changes did you see results? I seen a slow down in spreading fairly fast and a little freckling here and there, but I seen major healing taking place after 90 days of all the changes. It took more than a year to get to where I am now. My advice is to start making the changes and don’t pay too much attention to how long it will take. Next year is coming whether you start now or not. If you’re doing it naturally it will definitely take longer, the positive point in doing it that way is that once your healed you don’t have to worry about depigmentation again. You of course have to maintain a healthy lifestyle, but it doesn’t need to be as strict as your healing phase. Our bodies are amazing and once it’s in balance and you are treating it nicely there is no doubt that you will heal. 8. Any books you recommend? Quantum Healing gave me great insight into how powerful our minds are and how it can work for or against us. You Can Heal Your Life was a good psychological exercise for me. Going back and healing any issues from our past plays a big role in our mental and physical make up. The Power of Now did a lot for me. Constantly replaying the past through regrets and worrying about the future made me neglect the Now. So many resources are available now and each one of us just has to find the one that resonates with us. I recommend these books in hopes that they affect others how they did me. 9. What advice would you give to someone who wants to reverse their vitiligo? Where should he or she start? The first thing that I would tell them is that they absolutely can heal and they have to know that. The most important points are a positive mind state, a healthy diet and lifestyle which includes exercise mental (meditation) and physical (low stress, fun activities) and minimizing stress. I just needed one example of anyone that healed to show me that it was possible and that set me on my course to do it for myself. The confidence of healing myself led me to write my book and create my website. Seeing so many others that are also healing themselves feels good. What upsets me the most about Vitiligo is the ignorance that surrounds. There aren’t that many blogs like this one where people can go to and get information. I especially hate the myth that you can not heal. Doctors make you feel like Vitiligo is something that you’re stuck with. That is not the truth. 10. What have you learned from your Vitiligo journey? 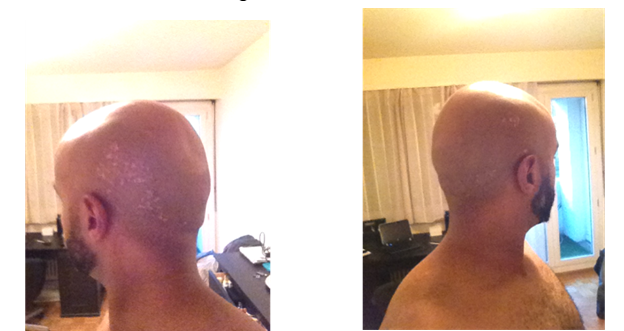 Vitiligo has lead me on much healthier path. I’ve always been into trying to be healthy, but I was forced to reach a higher level and really try to understand how our body works. It’s funny because when I’m going through a stressful period or I haven’t been taking care of myself, the Vitiligo warns me. I always check my fingertips and if I’ve been off I notice a small arc under each fingertip lightening up. As soon as I do everything I’m supposed to do they disappear. Vitiligo has become like a meter that gives me a reading on whether or not I’m on the right track. In comparison to the many disorders that people suffer from Vitiligo is actually a gentle reminder that you are out of balance and your body is calling for attention. 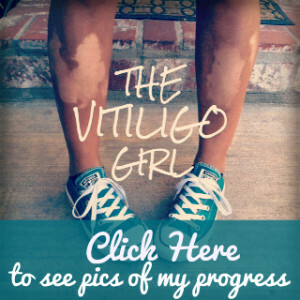 I’m not saying to appreciate your Vitiligo but I am saying it can be our guide. 11. What are you working on right now? I now work from home and I’m more in control of my life which in turn minimizes my stress levels. I look back at the rate that I was living and don’t really know how I lasted that long. Sometimes your pain can turn into your passion. Keeping in touch with others throughout their healing journey keeps me pretty busy and it’s also led me to pursue Personal Training with a mind and body approach. My website: www.howihealedmyselffromvitiligo.com has more information on Vitiligo and my eBook includes my story and my healing journey in detail. Hi, I am new to the vitiligo community. I am currently a nursing student and I know stress may be a trigger in some cases. I am trying not to worry about it even though I have spot on my face. I invested in camouflage makeup for the meantime. My diet consists of mainly vegetables and I am already lactose intolerant so I limit dairy and also do my best to avoid processed foods. However, during the time that I’m in school it does become hard to keep a balanced meal and to exercise. I don’t know how I can prevent from not getting stressed in the nursing field and I cannot help but worry about it spreading. Would you give me tips on what I can do to tackle this semester ? I have two semesters left. I’m already having a hard time accepting and loving myself with more flaws has become a challenge. I am also a hyperhidrosis sufferer that affects my hands and feet. So now that makes two incurable diseases or so that’s how they’re known in the medical field. I am so sorry you’re having a hard time accepting yourself with your two diagnosed conditions. Stress can be a hard thing to control, especially when some of it is internal as well. It’s interesting that you have hyperhidrosis along with the vitiligo, since both of them may be stemming from the same internal issues. I did a quick search and found this article about treating hyperhydrosis naturally https://drbenkim.com/articles-sweat.html. In that article, Dr. Kim (who has vitiligo) says that the underlying issue with hyperhidrosis is over activity of a specific component of your nervous system, called your sympathetic nervous system. This really struck me because it is an issue I had (and recovered from) which is associated with adrenal fatigue and anxiety, which is connected with thyroid issues. Here is an article about sympathetic dominance, scroll down to the subheading “The Meaning of Sympathetic Dominance” http://drlwilson.com/articles/SYMPATHETIC%20DOMINANCE.htm. This is the type of internal stress that most of us with vitiligo are unknowingly battling with. My best advice to you is to try to balance your nervous system as much as possible. The hyperhidrosis is a huge indicator that there are some nervous system issues present. Here is another article with some suggestions on how you can do this http://drlwilson.com/articles/AUTONOMIC%20HEALTH.htm. I have read his ebook and found the information to be laid out better than the other “miracle cure” ebook that I also read. Although there wasn’t a ton of new information for me – I have been suffering with vitiligo for 12 years now and have been a veracious researcher- this would be a great first book for a newly diagnosed or someone who hasn’t really tried to heal themselves outside of a dermatologists care. I often go and read his story, and YOUR BLOG for a quick shot of inspiration. Thanks for pulling all this knowledge and experience into one format. I would love to hear more stories about the healing of the nail beds and hands since these seem to be the hardest and slowest to heal. Keep strong everyone! You and I would would get along great, since I am a veracious researcher too! 🙂 My hands are slowly repigmenting, in fact they were the first to begin freckling after I started Nutritional Balancing and started using the Merry Clinic Vitilax oil.